Fox News host Sean Hannity probably wouldn't like this guy Sean Hannity. On camera, Hannity rails against "elite" media types who have inappropriately cozy connections with the rich and powerful. Off camera, that's who Hannity is. A pair of stories in the past week have highlighted this on-air, off-air contradiction. First came the revelation that Hannity has been a client of President Donald Trump's attorney Michael Cohen. Now there's a story in The Guardian that shows just how wealthy he is. The Guardian reviewed public records that "link Hannity to a group of shell companies that spent at least $90 million on more than 870 homes in seven states over the past decade." According to the paper, "the properties range from luxurious mansions to rentals for low-income families. 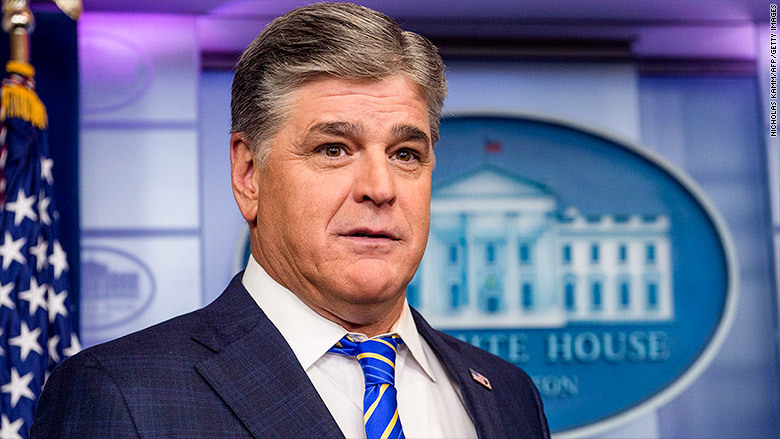 Hannity is the hidden owner behind some of the shell companies and his attorney did not dispute that he owns all of them." Hannity defended his investment strategy in a statement issued on Monday. "It is ironic that I am being attacked for investing my personal money in communities that badly need such investment and in which, I am sure, those attacking me have not invested their money," Hannity said. "The fact is, these are investments that I do not individually select, control, or know the details about; except that obviously I believe in putting my money to work in communities that otherwise struggle to receive such support." Last week Hannity was widely criticized for not disclosing his Cohen connection to viewers. Hannity downplayed the legal relationship by saying it "dealt almost exclusively about real estate." That gave The Guardian a reason to investigative Hannity's real estate investments. The revelation about Cohen and the paper's reporting about 870 homes calls to mind this infamous Hannity quote: "Now, my overpaid friends in the media, well, they have their chauffeured limousines, they like their fine steakhouses and expensive wine lifestyles." Hannity's disdain for his fellow members of the media is one of the dominant themes of his nightly show. To Hannity's credit, he has counted himself in the "overpaid" category in the past. But his consistent message on Fox, repeated ad nauseam, is that TV anchors and other journalists are woefully out of touch. He frequently claims journalism is "dead," even though he invites conservative journalists on his show to attack Trump's perceived enemies. Hannity was all smiles at a recent party thrown by The Hollywood Reporter. He hobnobbed with guests like CNN's Don Lemon and Stormy Daniels' attorney Michael Avenatti. Then he headed over to his Fox studio for a monologue about "abusively biased so-called wannabe journalists." One of the graphics on screen referenced a "fake news eruption." The following week, when the Cohen relationship was revealed, he bemoaned the media's "obsession" with him and said he deserved privacy. His comments "were certainly as hypocritical as spectators have come to expect," Time magazine critic Daniel D'Addario wrote. "Hannity has made a career of hounding public figures, some of whom are now private citizens; Hillary Clinton and James Comey are unlikely to hold office ever again," D'Addario said. "So Hannity promoting the idea that a public person should be able to keep an essential fact private is surprising."